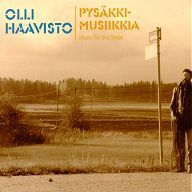 This is the first solo album for Olli Haavisto. Olli has worked professionally in Finland for about 20 years, playing different steel guitars and regular guitars in the studio and on the road. The CD includes 7 instrumentals and 5 vocal tunes in styles that include blues, rock and country. Olli plays a wide variety of steel guitars here, including a Zumsteel D-10, a Dobro and several lap steels. Olli Haavisto is a master of understatement, a traditionalist in his approach, and a perfectionist. This CD is very easy to listen to, especially if you enjoy country blues and classic rock. It's well produced, well arranged and very well played.